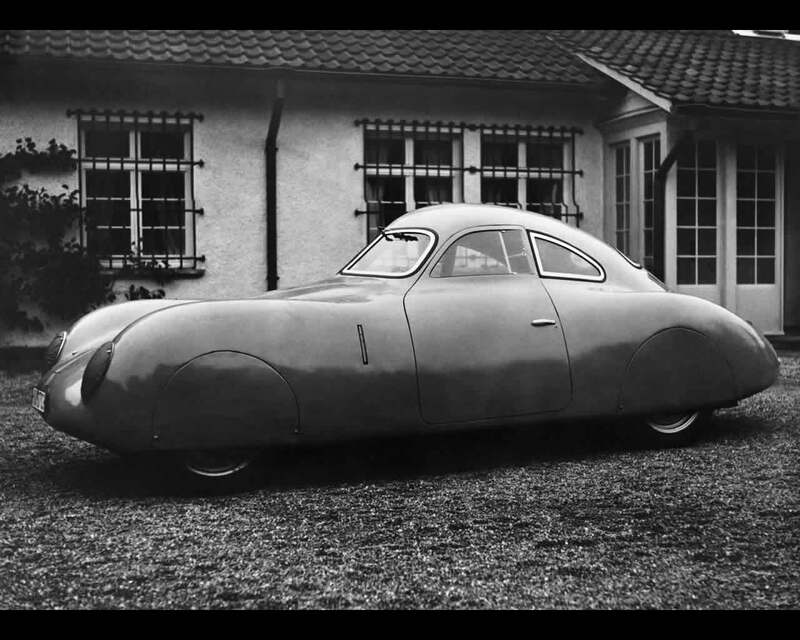 In 1938 with the Berlin Rome road race ahead, Porsche design studio began working on its Type 64 prototype. 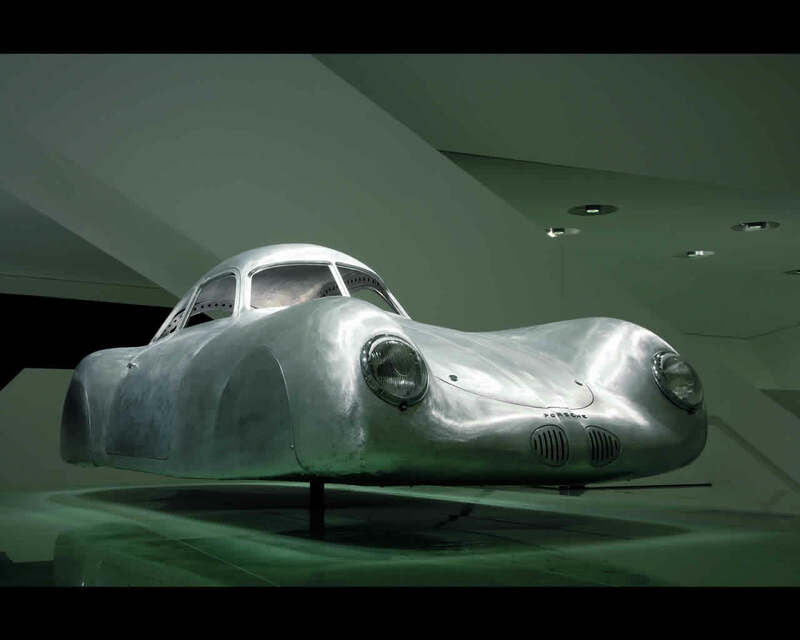 Its special design using streamlined aluminium body, placing the driver in the middle of the car. With all four wheels covered, front ones using rollers in order to let the steering wheel push it. As a race prototype the Porsche type 64 (VW 60 K 10) had two reserve wheels, one behind, one front. Propelled by a rear engine along the gearbox, like the upcoming Porsche 356 series. The engine was a four cylinder developping 40 HP specially mounted for race , using larger valves and twin carburettors. 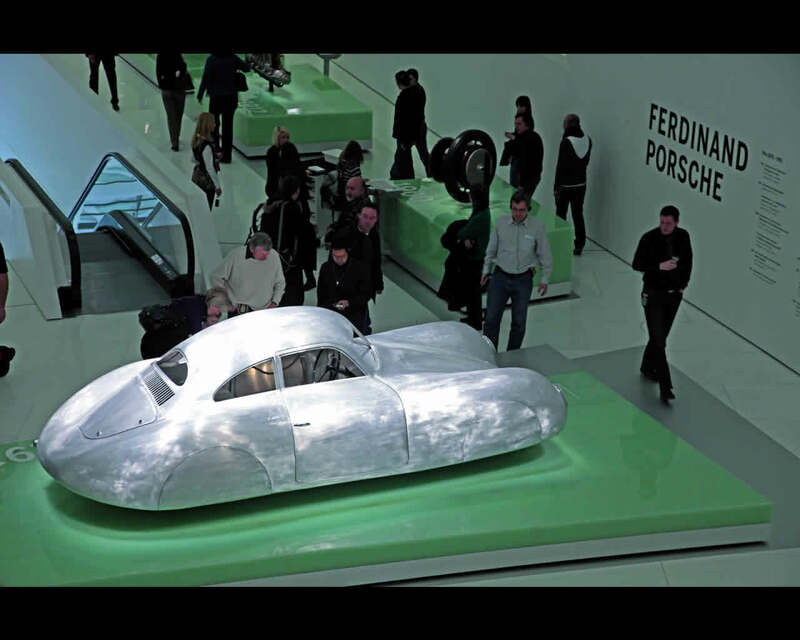 Nearly every pieces of the Porsche Type 64 (VW 60 K 10), from the chassis to smaller one were manufactured with weight saving in mind. Its aerodynamic shape allowed a theorical max speed 180 km/h with a long gear ratio in its most efficient setup. Because of the second world war debut, the car was never given a chance to perform. Known as the "original Porsche" the Porsche Type 64 with its pionneer-minded caracteristic (shape, propulsion,....) is clearly the announcer of the Porsche 356.